So here is the break down. You do NOT need prior authorization to take your children out of the school system. They ASK they you notify the superintendent of your local board of education within 2 wks of starting your homeschooling. There are several options when filing to homeschool. Under option 1 you have 3 choices- i- You have a high school diploma, GED or higher. You will put this on your NOI and send in a copy ONE time. After that when you send in your yearly NOIs, you can say that your diploma is on file. ii-have a teaching degree, iii- provide a curriculum or program of study, iv-You do NOT need a diploma or GED. If you don’t have a copy of your diploma or just don’t have one at all, you can still homeschool in the state of Virginia. You will need to say on the NOI that you are filing under that option (iv) and include a paragraph that shows you have basic mastery of the English language. This is the option I usually use. I write a paragraph stating why I think homeschooling my children is a better option for my family and my general homeschooling philosophy. I have never been found to not be in compliance. There are other options- 2- Religious Exemption, 3- Certified Tutor, 4- Private or Denominational School but I believe that option 1 is used most often. No matter which option you choose, you will need to send a list of subjects that you plan to teach. This can be as simple as saying math, science, art, history, music, etc. This has just recently been cleared up. Some counties were asking for scans of the table of contents from text books, or out and out summaries of each subject. BLAH!! That was more than the law asked for. You will need to test your children at the end of every year OR have them evaluated by someone that holds a teaching degree in any state. I always go with the testing option just because it is easier and less costly. You can buy the tests for $25 for each child and give them yourself in your own home. I always use Seton Testing Service. They are quick and easy. Here is a site that gives the specific laws for homeschooling in Virginia, HSLDA and HEAV. Also, notice that the law specifically says that the BoE has NO RIGHT to approve or deny your right to homeschool your children. They can only say whether or not you are in compliance with the law. The letter that I receive from my county actually says that I am approved and that just goes all over me….. I called a local homeschool lobbyist and she said that I COULD fight it if I wanted to but that she would just let the wording go unless there was some other infraction that happens. So, that is what I did. Now, when you pull your children out of school all you have to do is say that you are taking them out to homeschool. DO NOT let them tell you that you can’t because YOU CAN! You need NO prior authorization whatsoever. 😉 I actually had this happen to me in Henrico county. 2 of my children were in elementary school when I decided to homeschool. I went to the school to withdraw them and everyone was perfectly lovely and supportive. Deanna’s teacher even offered to provide me with anything I might need in the way of curriculum. Then I went to the middle school to withdraw Jacob…. Oh, boy! A completely different experience!!! The lady in the attendance office was downright hostile! She said that I had no right to homeschool. How would they know I was doing a proper job?? I had her call the BoE and ask THEM. Well, she got someone on the other line that misinformed her. WHAT A NIGHTMARE!!! I went home and called the same local homeschool lobbyist that I had to call when we moved out of Henrico county. She said that she wanted the name of the lady that the attendance lady talked to, because she was misinforming the school. One thing lead to another and I agreed to talk to the superintendent at the BoE about the whole experience. He apologized for everything I went through and said that he would make sure it never happened again and that everyone in his office and the office of the lady that oversees all the homeschooling paperwork in Henrico county would be given a current list of the homeschooling laws and make sure that they understood them correctly. There are MANY, MANY more but these are really great starting points and the ones I use most often. All of this may sound complicated, but it really isn’t. It may sound scary, but it isn’t that, either. Now, that being said, it can feel overwhelming at times and there are the bad days BUT I wouldn’t change it for the world. I LOVE homeschooling my children and I wish that I had ALWAYS been a homeschooler. Even if I moved to a town with PERFECT schools I would still choose to homeschool. Am I a perfect homeschooling mom? That doesn’t exist. BUT I am doing what I think is right for each of my children. That is what counts. Will we miss a few things here and there academically? Maybe… But tell me, who remembers every single little thing that they were taught in schools? No one and I can’t do much worse than that! LOL My kids are learning at their pace and in their own styles. There’s no stress and no pressure. They are kids and I want them to enjoy that time, it is so fleeting. So, if it takes one of the kids 2 years to learn algebra properly, that’s OK!! And if one hates to write then he or she can type or draw or simply tell me in his or her own words. I don’t do grades. To me if they know it, they know and if they don’t, they don’t. There is no in between and we have all the time in the world to make sure they understand something completely. I have a couple of other posts about homeschooling in general and I list some of my favorite homeschooling sites and blogs. You can find those posts under the homeschool button at the top of the page. We are planning on moving the first weekend in November. That way the kids will get to trick or treat here but we should be settled in there before Thanksgiving. There are many pluses to the move and only 2 drawbacks, even thought those drawbacks are big ones. We will be closer to a lot of my family. I have many aunts, uncles and cousins in South Carolina and one aunt, uncle and cousin in Georgia. I will be close enough to visit them!! YAY!!!!! AND many friends have said that they will be able to visit there in Georgia! AWESOME! It will also be a shorter drive for us to visit family in Tennessee. BUT I will be farther away from friends and family in West Virginia, although I haven’t actually been able to visit in the 6 yrs we have lived here. So, umm, yeah… very conflicted emotions! The homeschooling laws in Georgia are a lot more lenient than the ones here in Virginia, that’s a big plus. Also, there will be new areas to explore for field trips! We should actually have the money to do more things! 😉 We are already planning a trip to the Okefenokee Swap after Thanksgiving! The house we want is still available. As long as we can get the deposit together soon, we should be able to get it. Pray that we find a way! 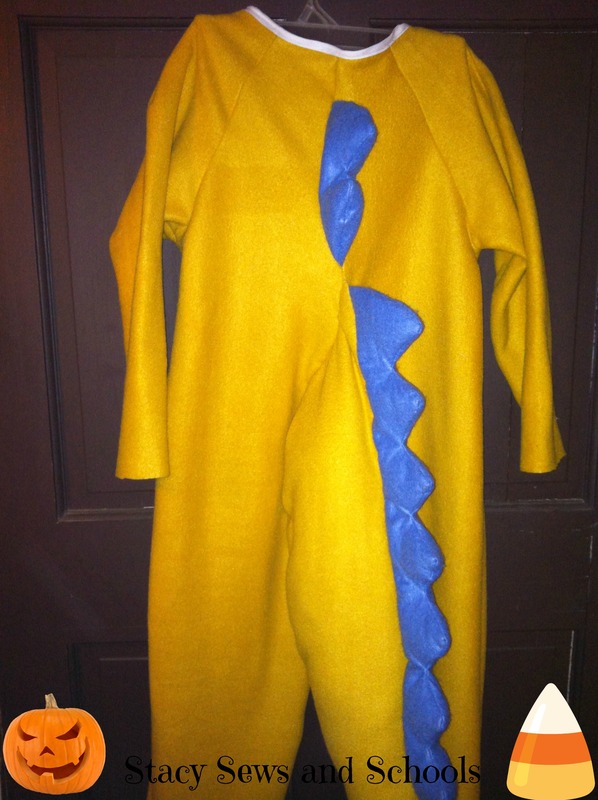 I have been working on Colin’s dinosaur costume. I still have the head, feet and hands to do. 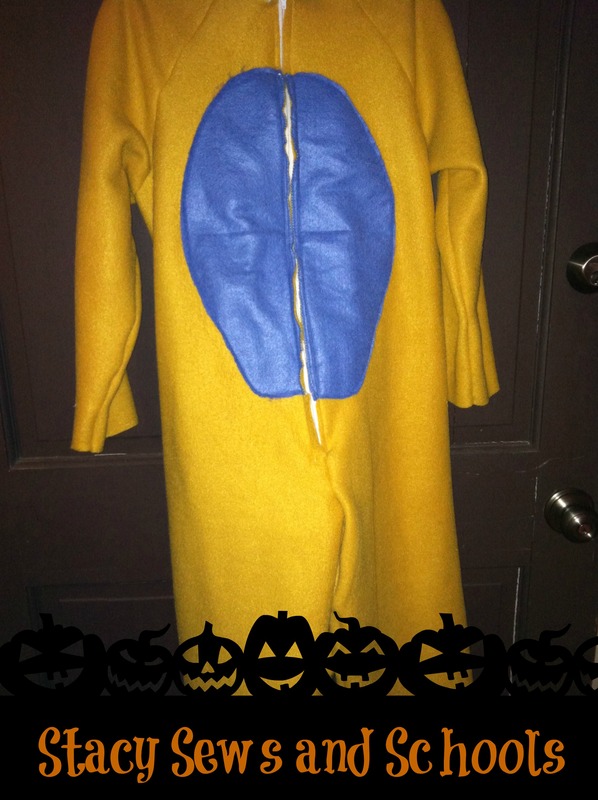 After this I will be working on the Snoopy costume! YAY!!! Then Cailey’s Tinkerbell! I will probably do a tutorial for that one. I have sooooo much to do!! I need to go through toys, books and clothes to see what goes and what gets donated! I need to find someone to take over Bags of Hope and Love at church. I will be standing up to make that announcement at church tomorrow. Pray that I find someone willing to continue it here! I know I will be starting it up in Georgia as soon as we are settled! This is a ministry that I feel very strongly about and I plan to continue it no matter where I am. Unfortunately there will always be kids that are hurting and in need, until the good Lord calls us home. So tired, I just want to curl up and nap even though it’s a beautiful day! And now I am just rambling. Actually, I think that is all I have been doing with this post! LOL SORRY!! !